The BJP's internal infighting continues to unsettle the party. Whether to pick a PM candidate or even just a CM candidate, there seems to be no easy way to gather consensus. Just as party workers and the leadership breathed a collective sigh of relief when LK Advani gave PM aspirant Narendra Modi a loud and clear endorsement in Ahmedabad, the BJP's Delhi unit is in turmoil, with just over a month to go for elections. 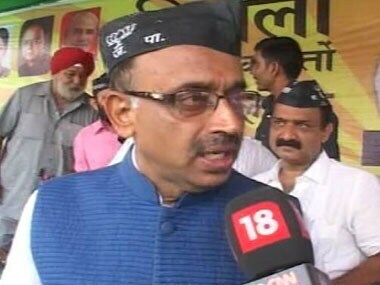 The man at the centre of the controversy is none other than Delhi unit chief Vijay Goel, who has threatened to step down if he is not nominated as CM candidate for the 4 December Assembly poll. The party had reportedly decided to bypass him because it was felt that he had no 'connect' with the party cadre, in contrast with Harsh Vardhan, perceived to be a clean, humble politician much on the lines of Madhya Pradesh Chief Minister Shivraj Singh Chouhan. However Goel has decided that he will not take the snub lying down. CNN-IBN reported that he has told former BJP chief Nitin Gadkari, in charge of the BJP's affairs in Delhi, that he would step down from the post if Vardhan was preferred over him as the BJP's face in the Assembly elections. 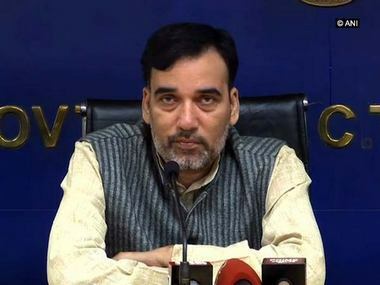 In a move reminiscent of how the party delayed the announcement of Modi's PM candidature, the party has now decided to put on hold the announcement of their candidate for the all-important post of Delhi chief minister until the issue is sorted out from within. According to this report in the Hindustan Times, "They favoured cooling of tempers within the different BJP factions to enable efforts to bring around Delhi BJP chief Vijay Goel, who is a strong contender for the post, to accept Vardhan's name." 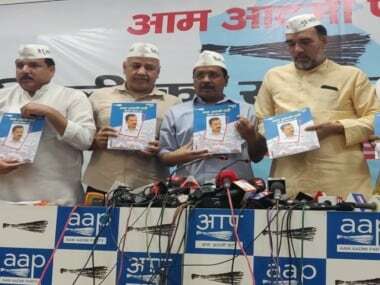 It is imperative that the BJP put forward a name that the party can rally around, given that both the Congress with Sheila Dikshit and the Aam Aadmi Party with Arvind Kejriwal are fielding such strong personalities for the polls. The party's inability to field a candidate in the 2008 state Assembly elections was in fact seen as one of the reasons why the BJP was unable to unseat the incumbent Dikshit government although it had been ruling for ten years. An Economic and Political Weekly article published soon after the BJP's 2008 election defeat said that one of the reasons was a lack of consensus on a strong CM candidate. "The choice of Malhotra as the candidate for the chief minister affected the chances of the BJP. When asked who they would like to see as their next chief minister, 32% preferred Dikshit while only 13% mentioned Malhotra’s name Table 6, p 30). Though in small numbers, there were those who preferred the BJP’s Sushma Swaraj or Madan Lal Khurana more than Malhotra. There were a few others who did not mention Malhotra’s name but said they would like any one from BJP. So while even traditional BJP supporters were divided on their preference for the chief minister, Dikshit was the undisputed leader among all Congress leaders for the post of chief minister. Goel, whose tenure at the helm of the BJP's Delhi unit has seen the party there rocked by infighting, is then clearly not the man for the job in 2013. Dissent against him has been so flagrant that to pacify party cadres the BJP high command in Delhi ordered that the poll campaign would feature ‘Team BJP’ posters instead of promoting Goel’s face as is the tradition in Indian politics. He does however reportedly enjoy the support of party chief Rajnath Singh, although many leaders reportedly prefer Vardhan to take over. He is now trying to bring the Dalits into the BJP fold (he held a huge public community meal where top leaders of the BJP sat side by side with Dalits from various parts of Delhi, eating from the same table); he has promised 4 per cent reservation in colleges affiliated to Delhi University to students from Delhi; and has launched a jhuggi jhonpri campaign (in situ development of slums) as the answer to the Congress's regularisation of slum colonies. Goel has the charisma of a turtle. He makes up with hard work. 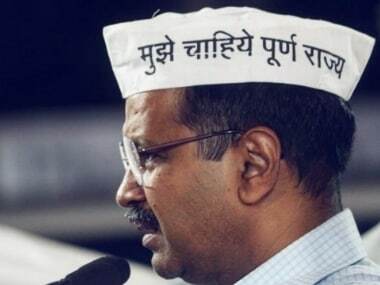 He has no pretensions of a vision for Delhi. But he does have a solid core following. Whether this will translate in the capture of Delhi, remains to be seen. However, given that charisma seems to be the need of the hour, this is another strike against Goel. It will certainly not be easy for Goel to stomach the ignominy of being sidelined at this stage of the BJP's Delhi campaign. He threw a flagrant challenge at CM Sheila Dikshit to debate issues of governance with him as recently as 13 October. According to a report on PTI, he also drew up a list of 15 questions which he announced that he would want Dikshit to answer. Two days ago, Goel had publicly asserted that he was a popular choice for chief ministerial post, which triggered rumblings in the party, threatening to derail its campaign to capture power in the capital after 15 years. He got 14 district leaders to call on Rajnath Singh and Gadkari to support his name. A number of senior Delhi leaders conveyed to the central leaders their "deep anguish" over the "tone and tenor" of Goel projecting himself as BJP's popular face. Later, Gadkari issued a statement, saying that the BJP's parliamentary board will take a decision on the issue. 1Will Vijay Goel vs Harsh Vardhan derail BJP in Delhi polls?